What is the Average Salary of a Nurse? 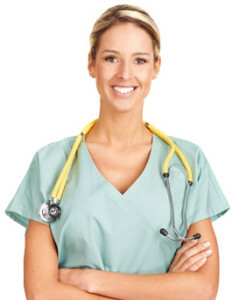 Are you are interested in the field of nursing, but curious about the average nursing salary? Average salaries reported nationally are based on several different factors, and understanding how all of these factors can increase or potentially decrease your annual salary in nursing is important. Here is your guide to understanding the average nursing salary, and what can affect this figure. What is the National Average Reported by the Bureau of Labor Statistics? One of the first things that you should do when you are interested in working in a specific field is research the average salary in that field. Nursing may be a large field divided into several different specialties and subfields, but knowing what Registered Nurses earn as a whole can help you start your mission to determine what you will make when you complete school. Based on the averages reported by the Bureau of Labor Statistics, the average salary of an RN is $67,930 per year, or $32.66 per hour. The top professionals have been reported to earn $94,720 per year, with the lower tenth percentile earning $45,040 per year. This average includes the salaries of professionals in a variety of different medical settings. What Affects a Nurses Salary? Now that you know the salaries of the highest and lowest paid RN’s, it is important to understand why there is such a widespread difference in the salaries reported. While there is a large difference in salaries reported in every field, the difference between salaries in nursing are not simply based on experience. In addition to differences within the category of experience, there are dramatic differences in the pay within specific regions of the US. For example, the average salary for a nurse in West Virginia is $56.20 per hour but the average drops to as $26.91 in Oklahoma. You must consider the number of jobs available in a state and how working in that region will affect your earning potential before you ever consider relocation. Another factor that affects the average nursing salary is specialty. While these average salaries are based on RN’s, knowing how much you could earn if you chose to advance your career with more education is important. You must consider the setting you would like to work in, demand within this setting, job security in the setting and then start to research the pay within your region to get an accurate picture of how much you will earn by returning to school. It must be an investment of your time rather than an expense to make the best choice for your future. Nursing has long been labeled a rewarding field for compassionate people who would like to help in difficult health-related situations. If you want to work as a registered nurse, you can see that there is earning potential in the field. As baby boomers continue to age, and the age of the population grows, the need for nurses will only get higher. What all of these growing statistics measure up to, is a higher average nursing salary for all trained and registered professionals in the field.